I am pleased to let you know that the Ice House Co-op in Berkeley Springs has reopened after major repairs to the floor. In celebration of the reopening, I am offering a subtantial body of new work that has not been offered before at the Ice house. 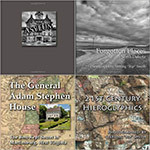 The new work includes images from Washington, DC, Maine, and various locations around Eastern Panhandle Region. There will be a reception at the Ice House next Friday, March 26 at 7:30pm for the opening of the “Valor in the Valley” exhibit, which marks the 150th anniversary of the Civil War in the region especially Stonewall Jackson’s 1862 Bath-Romney Campaign. I will be attending the reception and will look forward to meeting and discussing my new work with any of you who might drop by. Earlier in the week I judged the Third Juried Photographic Exhibit at the Contemporary School for the Arts and Gallery in Hagerstown. The opening reception will be tomorrow, March 20, from 3-5pm during which I will present the awards for the best color and black and white entries. 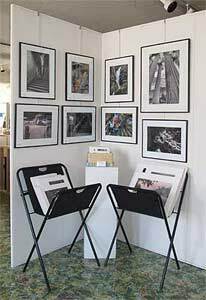 The gallery is located at 4 West Franklin Street in Hagerstown. Plans are moving forward for a new gallery in Charles Town. The expected opening is in mid April and I hope to have work on display and available for purchase in that location. I will update everyone with the details when they are finalized. ~ by Admin2 on March 19, 2010.